With the Pennsylvania state court systems gradually moving over into the digital age, the Administrative Office of Pennsylvania Courts (AOPC) has taken steps to address the need to protect individuals from identity theft and from disclosure of private information. Effective this upcoming January 8th, the Public Access Policy of the Unified Judicial System of Pennsylvania will require attorneys to file a certification, with every document filed with the court, that confirms that sensitive, private, and/or confidential information has been redacted from the document. "I certify that this filing complies with the provisions of the Public Access Policy of the Unified Judicial System of Pennsylvania: Case Records of the Appellate and Trial Courts that require filing confidential information and documents differently than non-confidential information and documents." Also, if confidential information is contained within the court filing, or in documents attached to the court filing, other documents noted below will have to be filed as well. 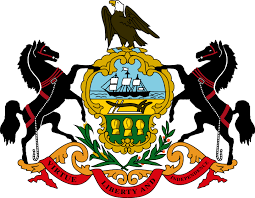 Here is a LINK to the Public Access Policy of the Unified Judicial System of Pennsylvania: Case Records of the Appellate and Trial Courts. Here is a LINK to the "Explanatory Report" on the Public Access Policy of the Unified Judicial System of Pennsylvania. Here is a LINK to the Confidential Information Form which shall be filed whenever a party is required to submit documents or filings containing confidential information with the court filing. Here is a LINK to a Confidential Document Form which is required to be filed whenever documents attached to the filing contain confidential information that should be shielded from the public.